Do Dogs Remember Their Puppies After They're Separated? The day I rescued my dog, Riley, from a shelter, I met her three puppies, too. They were being adopted also, and although I wanted to stay in touch with the new parents, life got in the way and that didn't happen. 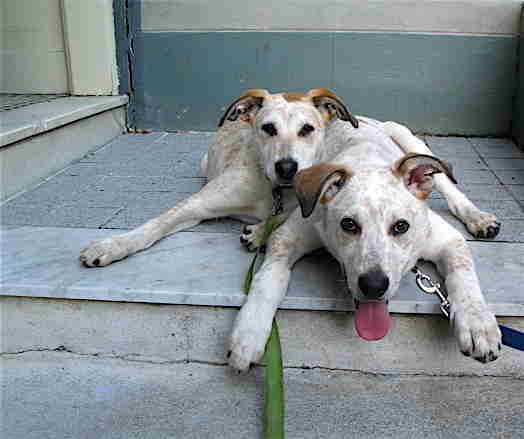 Then, a year later at the dog park, I saw a dog who had the exact same markings as one of the puppies. And although Riley didn't seem super interested in the dog, I couldn't help but wonder if it was one of her babies. And if so, why wasn't Riley super excited? Do dog moms even recognize their puppies if they run into them? "I have observed moms reunited with puppies at adoption events, and the mom doesn't seem to respond in any unusual manner," Galit Reuben, executive director of Dogs Without Borders, told The Dodo. "If she's a happy dog who likes to meet other dogs, she will respond positively. If she's shy and not socialized, she will react accordingly." A 2013 study in Animal Cognition suggested that dogs do indeed have long-term memory, so it makes sense that they might be able to recognize their pups. But the fact is that it depends on a number of factors, like how long they've been separated. If they did remember, it might be similar to a human "meeting a person on the street and not realizing at first this was a friend from years past," Suzanne Hetts, Ph.D., a certified applied animal behaviorist, said. "Once I realized it was my old friend, my behavior would be more open and welcoming and excited than if this was a person I'd just met and was just getting to know." Sherry Woodard, animal behavior consultant at Best Friends Animal Society, agrees that it varies from dog to dog. "Some dogs seem to treat all puppies the same way they treat their own after separation, and some female dogs act as though they don't want their pups anywhere near them," Woodard told The Dodo. "Some female dogs who have been a foster mom are thrilled to see their pups return to visit." And just like it might be hard to recognize people after so many years, the same with dogs. "Mother-pup recognition after separation depends heavily on environmental conditions during that time and the strength of the bond prior to separation," Jill Goldman, Ph.D., certified applied animal behaviorist, told The Dodo. "There are so many changes a pup undergoes as it ages. 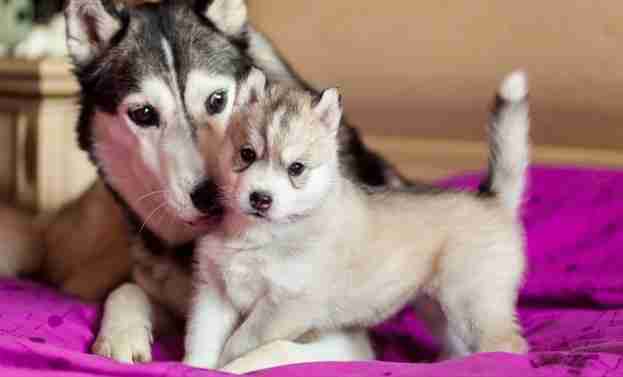 How much has stayed the same or changed since the puppy was with mom?" In the wild, young wolf pups stay with the pack for years, so they have individual recognition, she added. It's not often that dog moms have the chance to reunite with their pups, so most dog owners may never really know the answer. As for Riley, she may not remember her pups, but I'd like to think she's kept some of her maternal instincts. This is her reacting to puppy whimpers, three years after being separated from her own puppies.